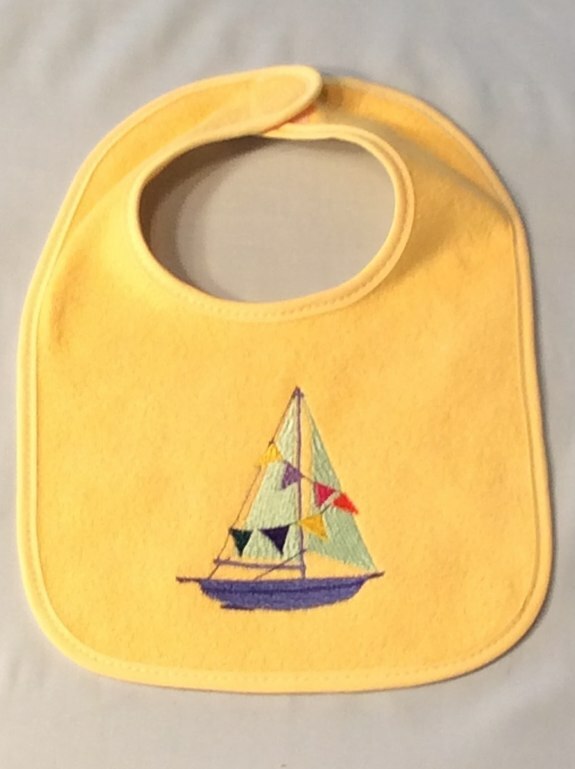 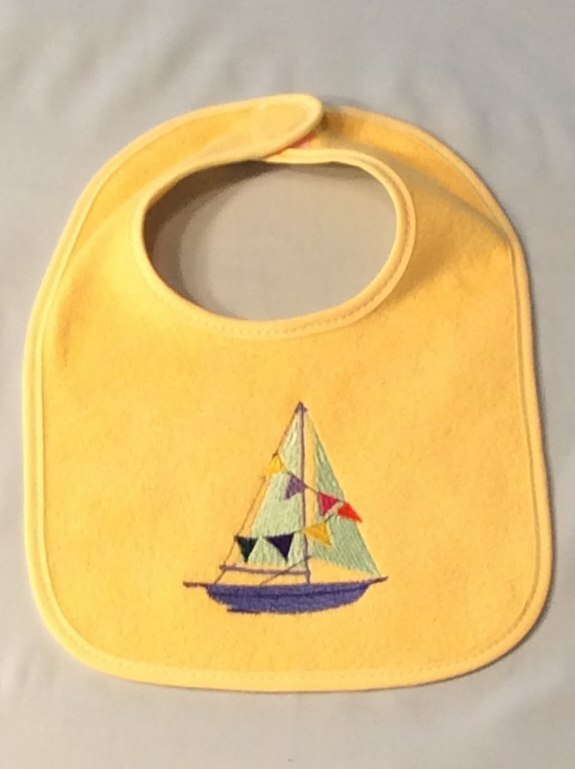 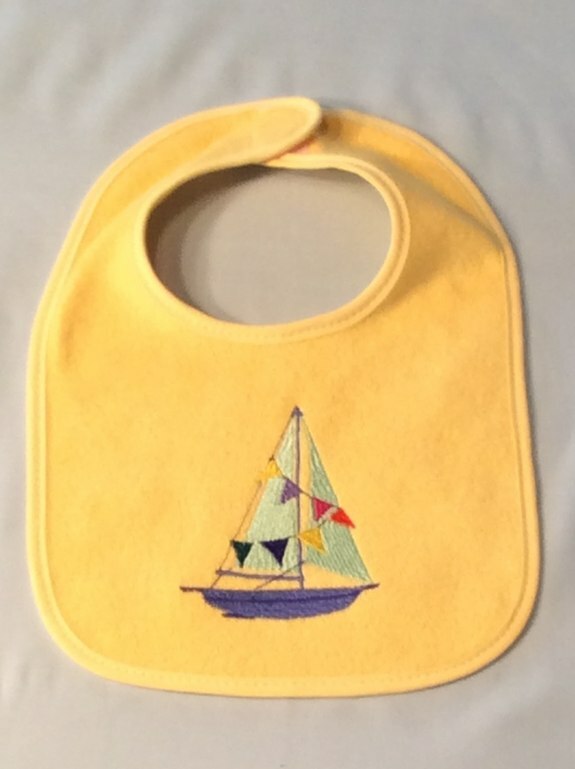 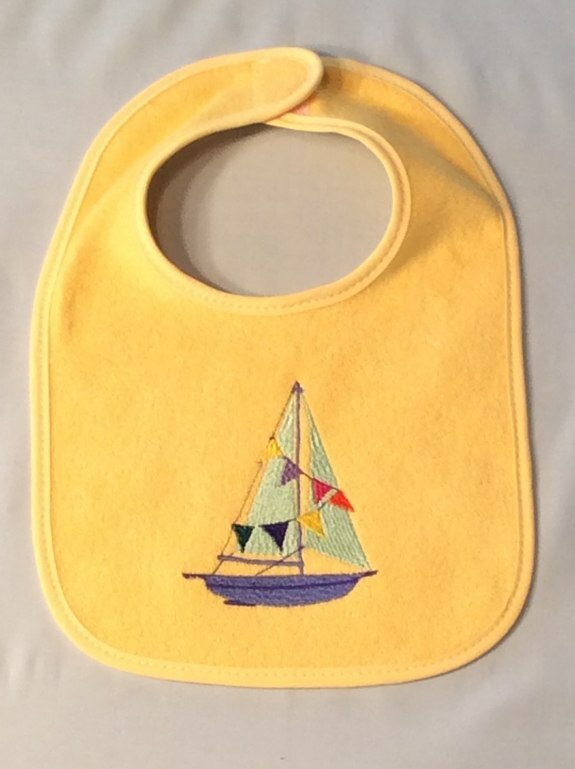 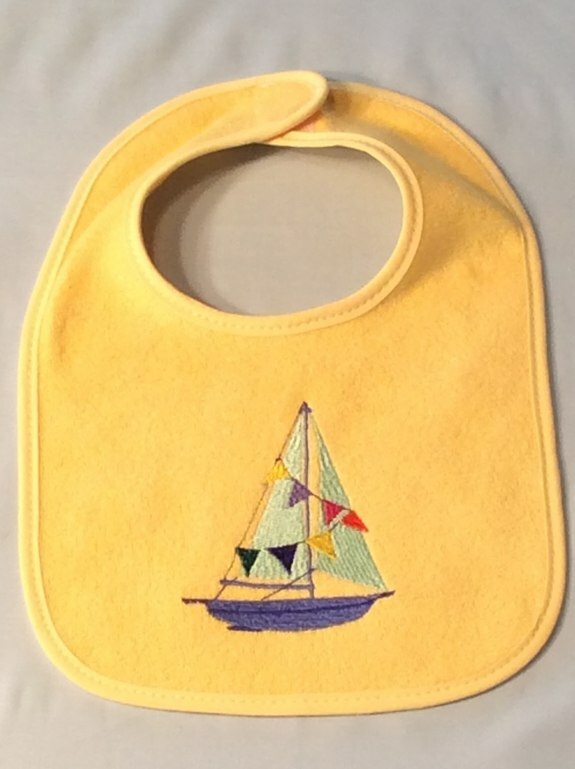 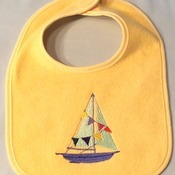 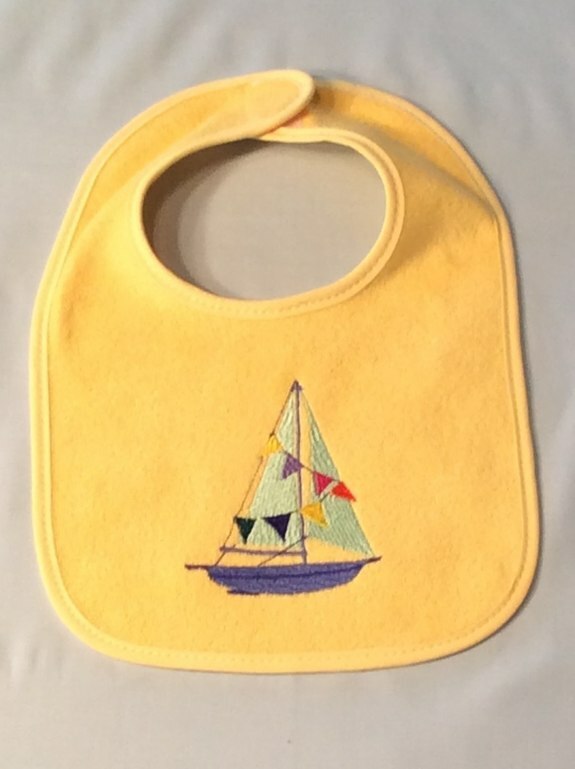 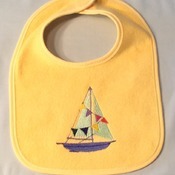 Beautifully Embroidered "Sailboat" on a yellow bib is a perfect baby shower gift or for the special Baby in your life. 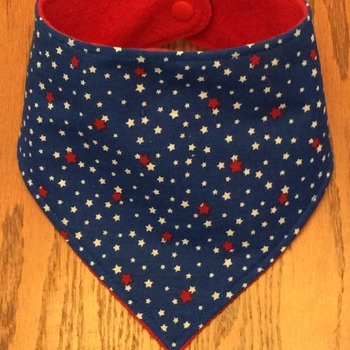 The bib has a Velcro closure for easy on/off. 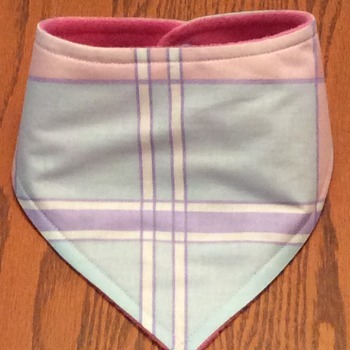 Made from 75% cotton, 25% polyester. 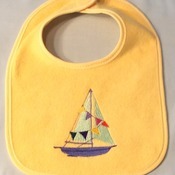 Machine wash, cold water, mild detergent. 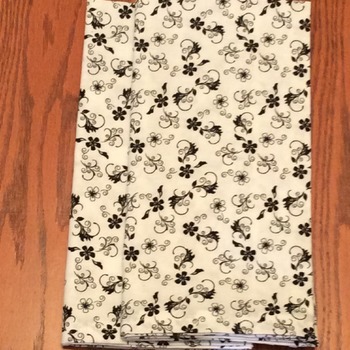 Tumble dry, low. 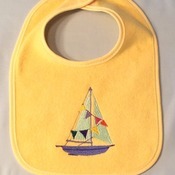 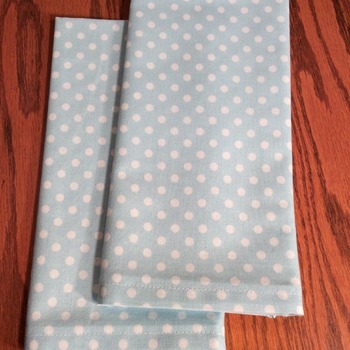 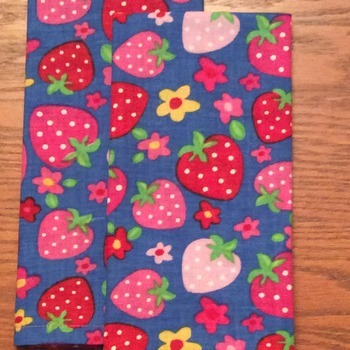 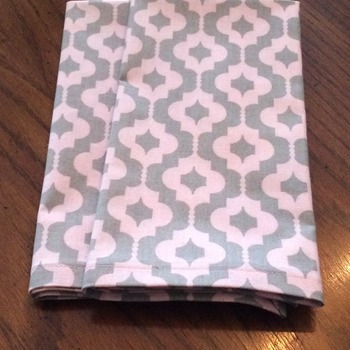 Bib measures approximately 12" x 8". 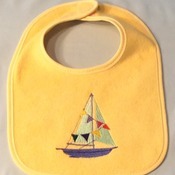 **Please convo me if you would like a custom made bib.